artist: Propaganda title: Dr Mabuse format: 12″ single design: XLZTT photography: n/a illustration: Anton Corbijn cat. 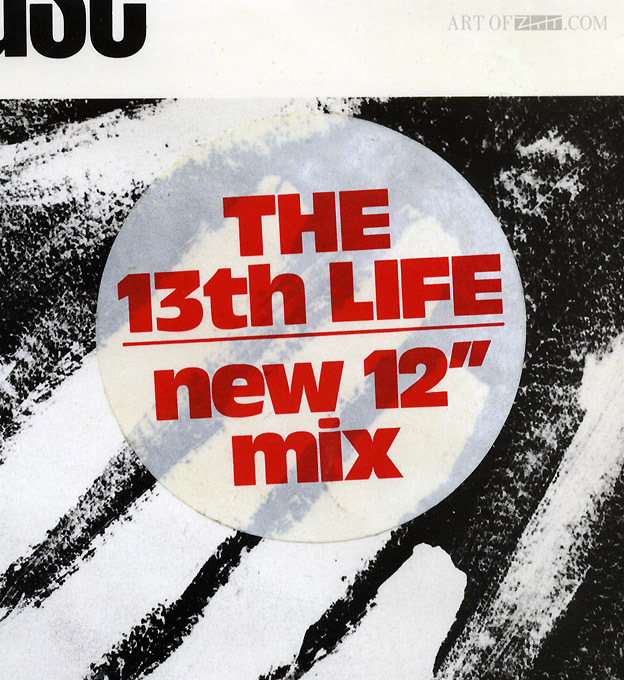 no: 12ZTAS 2 date: ?/03/84 art of notes: On releasing a new remix entitled ‘The 13th Life’, ZTT chose to sticker some copies of the existing ‘hand’ sleeve with this declaration. Many didn’t have this though and The 13th Life mix has been found in both the ‘hand’ and ‘zeppelin’ sleeves as well as, later, the grey ‘Who, Chance, Blink’ ZTT house bag. All on body labels for all versions of the 12″ mixes are identical so the only way to tell which mix you have is by playing the disc or looking at the matrix stamp on the disc’s run out groove. Oddly, when I ordered the 7″ and 12″ of Mabuse in early 1985, never having heard the track (in the 80s it was possible never to hear things unless you sought them out) this was the 12″ I got. I never knew the original classic 12″ even existed until about 1990.